Welcome to Clip & Dip! Clip & Dip, Inc. has been providing superior quality dog grooming and boarding since 1984. We are conveniently located at 3414 Brambleton Ave. Roanoke, VA 24018. We offer grooming appointments Monday through Friday and Boarding 7 days a week, 365 days a year! 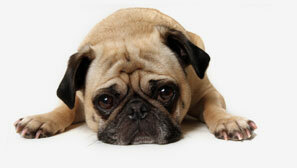 We are always available to answer any questions you may have regarding your dogs care. Please contact us at 540-774-3461 or email us anytime. Our operating hours are Monday through Friday 7:30am - 6:00pm, Saturday 9:00am - 12:00 noon and Sunday 8:00am - 9:00am and 5:30pm - 6:30pm. We request that boarders be dropped off before 5:30 pm Mon-Fri.
We have a second location at 51 Boon St. Boons Mill, VA. Grooming only available at this location with the same professional staff. Find us on Facebook as Clip&Dip South Professional Dog Grooming. We offer full service Grooming Monday through Friday. We encourage our clients to schedule standing monthly appointments. We suggest that you call at least two weeks in advance to arrange for your pet's first grooming experience. Arrival: All dogs are received for grooming between 7:30 - 9:00 AM, Monday through Friday. If you cannot make your appointment, we request a 24 hour notification. Pick Up: General pick up is between 3:00-6:00 PM. Earlier Pick Up may be available depending on our grooming schedule. Please be sure to ask when making your pet's appointment. Breed,condition of your pet's coat, temperament, size, specialized scissor work and frequency of grooming may result in additional charges beyond the base. Breed price. 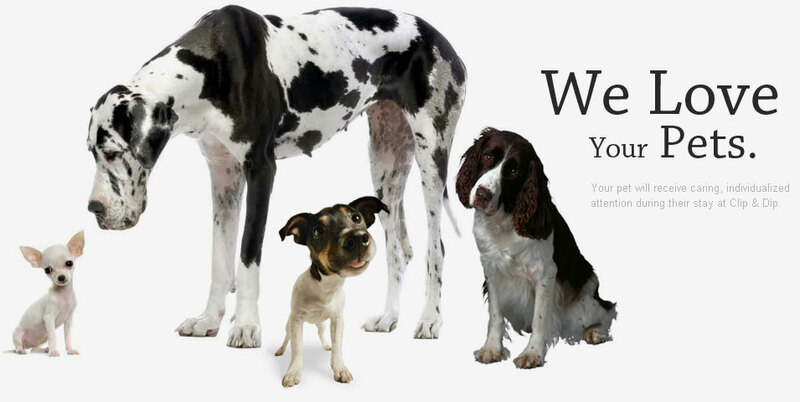 These factors vary for each individual dog. All well tempered dogs are welcome .We do not discriminate based on breed or size. Full service grooming is limited to dogs under 125lbs. We offer a superior facility for the comfort of your pet. We have large sanitary Indoor Runs with Central Heat and Air Conditioning. We also offer extra security by having the manager's residence on premises. All pets are supplied with fresh water and bedding 24 hours a day. We offer meals in the am and/or pm, depending on your pet's normal routine. We provide food, however, if you would like to keep your dog on its own diet, you may bring their food. Medications are given at no additional charge . Each dog is walked individually by our staff in our fenced outside lot three times per day. During your dog's walks, their Run is cleaned and sanitized. Kennel tours are available Mon-Fri10am-2pm. Please provide us with your destination, contact numbers, email if available and a local emergency phone number, including your local veterinarian. Up-to-Date vaccinations are required for boarding and grooming services. These vaccinations include Rabies, DHLP, and Bordetella (K-9 Cough). We do not require H3N8 Canine influenza Vaccine at this time but do highly recommend it. Proof of vaccinations needed at time of Check-In. Your pet will receive caring individualized attention during their stay at Clip & Dip. To help your dog feel more at home, we encourage you to bring your pets bed,toys and or comfort item. Any personal items left with your pet during its stay must be clearly marked with their name,and be able to laundered. We are not responsible for items damaged due to wear and tear,laundering,or chewing. Playtime (15 minutes): $5 Offers fresh air and exercise that promotes restful sleep and helps to relieve the stress of separation from the family. Grooming is available seven days per week for our boarding guest. Please let us know when you make your reservation if you would like to schedule an exit bath,mini pedi,pedi deluxe,tune up ,teeth brushing or full service grooming while your pet is boarding at Clip & Dip. Day Boarding is also available for your pet Sunday thru Friday. Daycare is a great alternative for working families or when you would just like a day out .Feel free to bring your pet to be pampered while you are away. Dayboarders are provided with an indoor run,water,bedding,and walks. Monday through Friday 7:30am - 6:00pm, Saturday 9:00am - 12:00 noon and Sunday 8:00am - 9:00am and 5:30pm - 6:30pm. Mon-Fri 7:00am-6:30pm Sats. by appt. We thank you for your interest and look forward to serving you and pampering your pet! Love Clip & Dip! I have had all my dogs groomed and boarded at Clip & Dip over the last 25+ years....what a wonderful staff! The location is very convenient. The facility is always clean. I never worry about my dogs when they are there. Love that the manager lives on premises. The groomers are top of the line! © Clip & Dip. All Rights Reserved.